Může henna barva na vlasy zakrýt šediny? 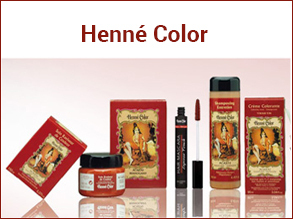 The Henné Color henna hair colours are gentle products free from oxidants, ammonia and p-phenylenediamine (PPD), the hair fibre is not bleached. The resulting colour will depend on your original hair colour, whether natural or coloured. Depending on the amount and distribution of grey hair, the hair will have different coloured highlights for a natural effect that will improve by subsequent colouring. The resulting colour will be more intense every time you colour your hair. 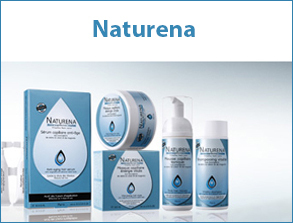 The 2 different formulations will allow you to customise your colour with a very natural result. Do you require a shorter developing time? A very simple application? The colouring cream will therefore be more suited to your needs. Our Henné Crème colouring cream is a 2-in-1 product as it is a colour and a conditioner. No preparation is needed, just simply apply it to your hair and leave for 20 to 40 minutes depending on the desired effect. Our Henné Crème colours will hide your first grey hair and may cover up to 100% grey hair depending on the selected shade. You can use our colour chart and product information sheet to help you choose your hair colour. Do you require a plant dye? A simple preparation by adding hot water? A higher henna concentration? The Henné Poudre hair colour will therefore be more suited to your needs. Our Henné Poudre colours start being effective after 30-minute developing time. This can be increased up to 2 hours for a deeper colour. Our Henné Poudre colours will hide your first grey hair and may cover up to 50% grey hair depending on the selected shade. You can use our colour chart and product information sheet to help you choose your hair colour.